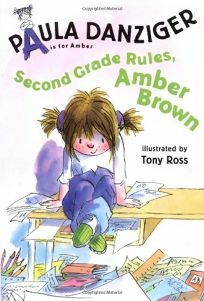 Second Grade Rules, Amber Brown by Paula Danziger, illus. by Tony Ross, shows evidence of the ""characteristic love of puns and her kid-targeted sense of humor"" that PW praised in earlier installments about the spunky gal. Here, Amber struggles to keep her desk neat in hopes of being rewarded by a visit from Deskarina, the ""desk fairy."" .